The global market for hepatitis E diagnostic tests is treading a growth path as the prevalence of hepatitis E, especially in resource-poor regions is on the rise. Hepatitis E which is caused due to hepatitis E virus is a chief cause of mortality and morbidity in the developing world. Lack of proper sanitation and frequent instances of water contamination in these countries are leading causes of infections and diseases such as hepatitis E. This has stoked demand for diagnostic tests for hepatitis E, especially among individuals between 15 and 40 years. The hepatitis E diagnostic tests market is appropriately segmented based on test type, end user, and geography. 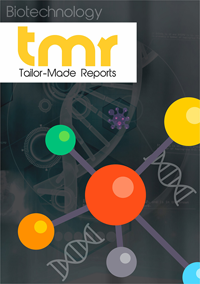 The report on the hepatitis E diagnostic tests market compiled by seasoned analysts examines every possible aspect that could influence the growth of this market over the forecast timeframe. The various segments under different categories have been studied and the profitability of key ones presented over the remaining. The rising prevalence of hepatitis E across the world is the leading factor behind the growth of the hepatitis E diagnostic tests market. According to statistics of the WHO, almost 20 million people suffer from HEV infections each year, worldwide, of which nearly 3.3 million are symptomatic cases. Some primary hepatitis E diagnostic tests are ELISA HEV IgM, RT-PCR, and ELISA HEV IgG. Of them, ELISA HEV IgM test kits account for the maximum demand due to the soaring incidence of hepatitis E worldwide; the demand for ELISA HEV IgM test kits is predicted to remain significantly high over the forecast period. The demand for RT-PCR test kits is likely to closely trail that of ELISA HEV IgM test kits in the upcoming years. The demand for RT-PCR is mainly because it delivers fast results and high sensitivities and specificities of molecular assay. The segment of ELISA HEV IgG, on the other hand, is likely to display a modest growth over the report’s forecast period. Although the hepatitis E diagnostic tests market currently seems to be teeming with opportunities, the increasing prevalence of asymptomatic diseases, which are difficult to be detected, may pose severe growth challenges to this market. Furthermore, low level of awareness about therapeutics for Hepatitis E is also anticipated to hamper the growth of this market in the long run. The global market for hepatitis E diagnostic tests is divided into the key regions of North America, Asia Pacific, Europe, Latin America, and the Middle East and Africa. On account of the high prevalence of hepatitis E in Asian countries such as India, Nepal, Pakistan, Bangladesh, Burma, Thailand, and Vietnam, Asia Pacific has emerged as the dominant regional segment for hepatitis E diagnostic tests and is predicted to continue to remain so in the years ahead too. This regional market is projected to hold more than 48% share in the overall market by the end of 2024. Besides this, the Middle East and Africa are likely to emerge as a key market for hepatitis E diagnostic tests in the forthcoming years. Lack of safe drinking water and poor sanitation in countries such as Kenya, Nigeria, Morocco, and Uganda are reasons behind increasing prevalence of hepatitis E.
Some of the core companies in the hepatitis E diagnostic tests market are Beijing Wantai Biological Pharmacy, Mikrogen GmBH, Fast-track diagnostics Ltd., Hoffmann-La Roche Ltd., Altana Diagnostics GmbH, Primerdesign Ltd., MP Biomedicals LLC, Fortress Diagnostics Ltd., and Biokit S.A.